THERE ARE TWO MAIN KNOWN PROCESSES involved in the onset of autism. The first is susceptibility to environmental toxins via mitochondrial dysfunction, which can be the combined result of environmental insults and mutations in mitochondrial genes and genes that directly influence mitochondrial function. This combination of factors exists in as many as 20% of cases of autism. The second is chronic microglial activation (CMA). Microglia are amazing nerve cells that serve as shepherds of learning, fostering connections at the synapse during reinforcement learning. They also play the role of the white blood cells (WBCs) of the brain, becoming activated due to injury or infection. Upon dying, brain cells release chemicals calls cytokines that activate microglia from tending shepherds to armed killers. They consume bacteria, viruses, and cellular debris, clearing the brain of the dead and dying cells. The eat impaired dendrites in their activated state. Other cells called astrocytes mop up the chemical signals that cause microglial activation via molecules called receptors. One of these signals is glutamate. CMA occurs when something causes glutamate build-up in the brain. CMA can occur in autism patients with or without mitochondrial dysfunction, and both processes may be at work and interrelated in any given patient with autism. Many environmental factors can cause excess glutamate. Eating it (MSG) is one way to upset the balance between glutamate in the blood and the brain. The higher the concentration of glutamate in the blood, the less able the brains glutamate pumps are able to dump excesses into the blood. Mercury and aluminum, both additives found in vaccines, can cause chronic microglial activation by harming astrocytes’ ability to uptake glutamate. Chronic microglial activation is found in people with autism from age 5 to 44 (Vargas et al., 2005). Researchers at the Johns Hopkins University in the Neuroimmunopathology lab studied autistics aged 5-44 and found that their brains had widespread microglial hyperactivation and sensitivity to astrocytes, reflecting IL-6 cytokine mediated inflammation (Vargas et al., 2005). The chronic inflammatory conditions were most pronounced in the cerebellum, anterior cingulate and the medial frontal gyrus. The fact that the hyperactivated state persisted for decades is a critical observation from this study. A series of important studies have shown that techniques that clear excess glutamate from the brain during stroke reduces brain damage. Campos et al. (2011a), demonstrated the effectiveness of oxaloacetate (a known blood glutamate scavenger) in treating rats in which a stroke was induced. The found that intravenous injection of oxaloacetate decreased both blood and brain glutamate levels. This led to an astounding 80% reduction volume of the brain infarct, dramatically reducing brain edema. The neuroprotective effects of oxaloacetate are due to the depletion of blood glutamate levels – which occurs as a consequence of the activation of a blood-resident enzyme glutamate-oxaloacetate transaminase (GOT) (Gottlieb et al, 2003). When blood glutamate levels are low, the gradient across the blood-brain barrier is in the correct ratio to allow rapid glutamate clearing. This will result in a shut-down of microglial activation. Similar results were found in human studies by the same team. Campos et al (2011b) studied a cohort of several hundred stroke victims at two hospitals. Using the same inclusion and exclusion criteria, they found that blood glutamate levels at the time of admission to the hospitals was a good predictor of outcome from stroke. (Read more at “GOT to ride the body of excess glutamate“. These studies confirm earlier findings that both oxaloacetate and pyruvate are effective at reducing brain glutamate levels (Boyko et al., 2012). One of the most vocal minds pointing to CMA as a major process involved in autism was Dr. Russell Blaylock, MD. The abstract above reads just like studies from autism by Blaylock and others (substitute “stroke” with “autism”). 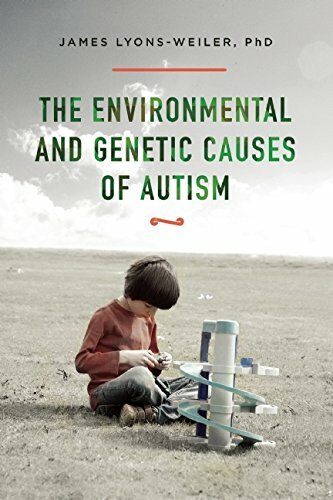 Blaylock’s various writing and videos of his presentations have awakened many to the fact that autism is a medical condition, not a neurodevelopmental disorder per se. The medical aspects of autism mean that reversing the causes of the disorder, such as shutting down chronic microglial activation, should be possible. An important part of that is diet. Some foods (such as those containing MSG) will exacerbate brain trauma caused by the excitotoxicity cycle set up by immunotoxins in vaccines (aluminum and mercury). Tylenol should be avoided as it depletes glutathione, a necessary component of microglial glutamate reduction. It has only more recently been found that immunoneuroexcitotoxicity is at the causal center of Alzheimer’s disease. A rich literature exists that shows that CMA is found as a causal factor in Alzheimer’s disease, with specific causal links demonstrated between excess glutamate, and microglial dysfunction. Contrary to early views, we now know that systemic inflammatory/immune responses transmit to the brain. The microglia, the resident “macrophages” of the brain’s innate immune system, are most responsive, and increasing evidence suggests that they enter a hyper-reactive state in neurodegenerative conditions and aging. As sustained over-production of microglial pro-inflammatory mediators is neurotoxic, this raises great concern that systemic inflammation (that also escalates with aging) exacerbates or possibly triggers, neurological diseases (Alzheimer’s, prion, motoneuron disease). It is known that inflammation has an essential role in the progression of Alzheimer’s disease (AD), since amyloid-β (Aβ) is able to activate microglia, initiating an inflammatory response, which could have different consequences for neuronal survival. On one hand, microglia may delay the progression of AD by contributing to the clearance of Aβ, since they phagocyte Aβ and release enzymes responsible for Aβ degradation. Microglia also secrete growth factors and anti-inflammatory cytokines, which are neuroprotective. In addition, microglia removal of damaged cells is a very important step in the restoration of the normal brain environment, as if left such cells can become potent inflammatory stimuli, resulting in yet further tissue damage. On the other hand, as we age microglia become steadily less efficient at these processes, tending to become over-activated in response to stimulation and instigating too potent a reaction, which may cause neuronal damage in its own right. Therefore, it is critical to understand the state of activation of microglia in different AD stages to be able to determine the effect of potential anti-inflammatory therapies. We discuss here recent evidence supporting both the beneficial or detrimental performance of microglia in AD, and the attempt to find molecules/biomarkers for early diagnosis or therapeutic interventions. One of the leaders in this area is Israeli scientist Dr. Vivian Teichberg, Ph.D., who proposed that clearing glutamate from the blood might cause a release of glutamate from the brain into the blood. In a series of clever studies, researchers at the Weizmann Institute found that transforming glutamate in the blood into another form causes glutamate in the brain to exit – providing protection against glutamate storms associated with stroke. (Read: “Protecting the Brain from A Glutamate Storm“). More on this exciting epiphany, below. Aluminum has long been suspected to be a plausible causal contributing factor to the risk of Alzheimer’s disease. Geographic correlations of aluminum levels in drinking water (Martyn, et al., 1989), and the finding of high amounts of aluminum in the brains of some patients who died from Alzheimer’s disease (just one example, see Exley and Vickers (2014) were initial indicators. More recent studies seem to confirm the link. A metaanalysis found a 71% increase in the risk of Alzheimer’s disease in individual with chronic exposure to aluminum (Wang et al., 2016). As people age, their microglia become less efficient at clearing Aβ deposits from the brain parenchyma (Thériault et al., 2015). Nine of 11 available studies reviewed by Flaten et al. (2001) concluded that Alzheimer’s disease incidence was increased regions with highest aluminum in residential drinking water. Measures of inflammation, particularly in the brain, were also seen to be increased when aluminum was high in drinking water (Campbell et al., 2004) – and, importantly, activated microglial cells were also increased. Aluminum in vaccines is almost certainly a causal factor in chronic microglial activation. Aluminum is found in most vaccines, and is a serious neurotoxin, in spite of a thwarted misinformation campaign to the contrary (Read “Paging Dr. Offit! Your Aluminum Neurotoxicity Reading Assignments are Ready!“). In mice, subcutaneous aluminum injections resulted in significantly increased apoptosis of motor neurons and increases in reactive astrocytes and microglial proliferation within the spinal cord and cortex Shaw CA et al., 2013). Reduced spatial memory capacity and impairment of motor function was observed after six doses (Shaw et al., 2009). Aluminum also influences other cells than microglia; it results in altered mitochondrial metabolism, globular astrocyte shape and astrocyte dysfunction (Lemire et al., 2009). Olmos-Alonso et al. (2016) found increased proliferation of microglial cells in human Alzheimer’s disease. Stanford University researchers have reported that a drug called EP2 can reverse microglial activation. Chronic microglial activation (CMA) leads to damage to synapses, loss of neural precursor cells, and neuronal death. The same process of CMA is seen in autism from ages 4-25 (Vargas et al.). Image modified from Morales et al., 2014. Neuroinflammation in the pathogenesis of Alzheimer’s disease. 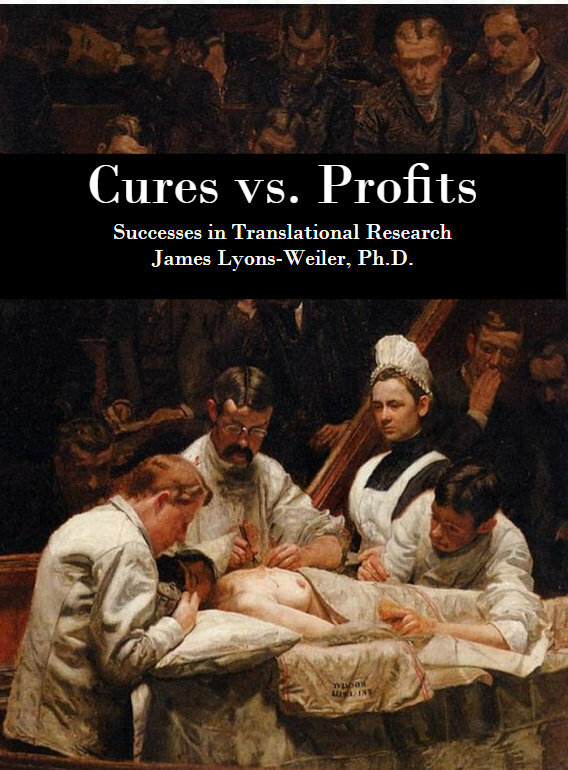 A rational framework for the search of novel therapeutic approaches. Front Cell Neurosci. 8:112. doi: 10.3389/fncel.2014.00112. eCollection 2014.). Oxaloacetate is found in nature – and has numerous healthy benefits. It is non-toxic (similar toxicity to vitamin C) and is found in apples, pears, bananas, and spinach. (Read NDX USA’s easy-to-digest article “Oxaloacetate“. Pyruvate is also found in nature. Foods containing it include red apples, cheese, dark beer, and red wine. Here is a well-informed article by Maia Appleby at SFGate on pyruvate supplements (“What Is Pyruvic Acid?”). [Disclaimer: These links are provided to the reader to inform on availability, are not meant as a recommendation. No health claims are made by the author, nor any recommendations. High doses of any supplement can have side effects. Check with your doctor before adding any supplements to your diet]. Chronic and acute microglial activation leads to brain trauma in stroke, Alzheimer’s and autism. By reasonable inference, supplements that reduce glutamate-induce chronic microglial activation in Alzheimer’s are very likely to have the same effects on some patients with autism. Studies are urgently needed to determine if dietary oxaloacetate and pyruvate supplementation provide neuroprotection against chronic microglial activation in persons with autism. Studies of glutamate levels and injection of oxaloacetate during severe neurological distress following vaccination should be undertaken immediately. Dr. Lyons-Weiler is the President and CEO of The Institute for Pure and Applied Knowledge, which conducts basic, translational and clinical research in the public interest (without profit motive), and is author of three books, “The Environmental and Genetics Causes of AutismThe Environmental and Genetics Causes of Autism“, “Cures vs. Profits“, and “Ebola: An Evolving Story“. Boyko M et al., 2012. The effect of blood glutamate scavengers oxaloacetate and pyruvate on neurological outcome in a rat model of subarachnoid hemorrhage. Neurotherapeutics. 9(3):649-57. doi: 10.1007/s13311-012-0129-6. Campos F, Sobrino T, Ramos-Cabrer P, Argibay B, Agulla J, Pérez-Mato M, Rodríguez-González R, Brea D, Castillo J. 2011. Neuroprotection by glutamate oxaloacetate transaminase in ischemic stroke: an experimental study. J Cereb Blood Flow Metab. 2011 Jun;31(6):1378-86. doi: 10.1038/jcbfm.2011.3. Epub 2011 Jan 26. Campos F, Sobrino T, Ramos-Cabrer P, Castellanos M, Blanco M, Rodríguez-Yáñez M, Serena J, Leira R, Castillo J. High blood glutamate oxaloacetate transaminase levels are associated with good functional outcome in acute ischemic stroke. J Cereb Blood Flow Metab. 2011 Jun;31(6):1387-93. doi: 10.1038/jcbfm.2011.4. Epub 2011 Jan 26. Castillo J et al. 2015. A novel mechanism of neuroprotection: Blood glutamate grabber. J Cereb Blood Flow Metab. 2016 Feb;36(2):292-301. doi: 10.1177/0271678X15606721. Exley C, Vickers T. 2014. Elevated brain aluminium and early onset Alzheimer’s disease in an individual occupationally exposed to aluminium: a case report. J Med Case Rep. 8:41. doi: 10.1186/1752-1947-8-41. Gottlieb M, Wang Y, Teichberg VI. 2003. Blood-Mediated Scavenging of Cerebrospinal Fluid Glutamate. Journal of Neurochemistry 87: 119–126. Olmos-Alonso A et al., 2016. Pharmacological targeting of CSF1R inhibits microglial proliferation and prevents the progression of Alzheimer’s-like pathology. Brain 139(Pt 3):891-907. doi: 10.1093/brain/awv379. Martyn, C. 1989. Geographical relationship between Alzheimer’s disease and aluminum in drinking water. Lancet 1:59. Solito E, Sastre M. 2012. Microglia function in Alzheimer’s disease. Front Pharmacol. 3:14. doi: 10.3389/fphar.2012.00014. eCollection 2012. Thériault, P et al. The dynamics of monocytes and microglia in Alzheimer’s disease Alzheimer’s Research & Therapy 20157:41 DOI: 10.1186/s13195-015-0125-2. Wang Z et al., 2016. Chronic exposure to aluminum and risk of Alzheimer’s disease: A meta-analysis. Neurosci Lett. 2016 Jan 1;610:200-6. doi: 10.1016/j.neulet.2015.11.014. Epub 2015 Nov 27. Zlotnik A, Gurevich B, Tkachov S, et al. 2007. Brain Neuroprotection by Scavenging Blood Glutamate. Experimental Neurology 203: 213–220. Bondy SC. 2016. Low levels of aluminum can lead to behavioral and morphological changes associated with Alzheimer’s disease and age-related neurodegeneration. Neurotoxicology. 52:222-9. doi: 10.1016/j.neuro.2015.12.002. Aluminum (Al) is a very common component of the earth’s mineral composition. It is not essential element for life and is a constituent of rather inert minerals. Therefore, it has often been regarded as not presenting a significant health hazard. As a result, aluminum-containing agents been used in the preparation of many foodstuffs processing steps and also in elimination of particulate organic matter from water. More recently, the reduced pH of bodies of water resulting from acid rain has led to mobilization of aluminum-containing minerals into a more soluble form, and these have thus entered residential drinking water resources. By this means, the body burden of aluminum in humans has increased. Epidemiological and experimental findings indicate that aluminum is not as harmless as was previously thought, and that aluminum may contribute to the inception and advancement of Alzheimer’s disease. Epidemiological data is reinforced by indications that aluminum exposure can result in excess inflammatory activity within the brain. Activation of the immune system not initiated by an infectious agent, typifies the aging brain and is even more augmented in several neurodegenerative diseases. The origin of most age-related neurological disorders is generally not known but as they are largely not of genetic derivation, their development is likely triggered by unknown environmental factors. There is a growing and consistent body of evidence that points to aluminum as being one such significant influence. Evidence is presented that reinforces the likelihood that aluminum is a factor speeding the rate of brain aging. Such acceleration would inevitably enlarge the incidence of age-related neurological diseases. Fanne RA, Nassar T, Heyman SN, Hijazi N, Higazi AA.. 2011. Insulin and glucagon share the same mechanism of neuroprotection in diabetic rats: role of glutamate. Am J Physiol Regul Integr Comp Physiol. 2011 Sep;301(3):R668-73. doi: 10.1152/ajpregu.00058.2011. In patients with acute ischemic stroke, diabetes and hyperglycemia are associated with increased infarct size, more profound neurologic deficits and higher mortality. Notwithstanding extensive clinical and experimental data, treatment of stroke-associated hyperglycemia with insulin is controversial. In addition to hyperglycemia, diabetes and even early prediabetic insulin resistance are associated with increased levels of amino acids, including the neurotoxic glutamate, in the circulation. The pleiotropic metabolic effects of insulin include a reduction in the concentration of amino acids in the circulation. In this article, we show that in diabetic rats exposed to transient middle cerebral artery occlusion, a decrease of plasma glutamate by insulin or glucagon reduces CSF glutamate, improves brain histology, and preserves neurologic function. The neuroprotective effect of insulin and glucagon was similar, notwithstanding their opposite effects on blood glucose. The therapeutic window of both hormones overlapped with the short duration (~30 min) of elevated brain glutamate following brain trauma in rodents. Similar neuroprotective effects were found after administration of the glutamate scavenger oxaloacetate, which does not affect glucose metabolism. These data indicate that insulin and glucagon exert a neuroprotective effect within a very brief therapeutic window that correlates with their capacity to reduce glutamate, rather than by modifying glucose levels. Pogue AI, Lukiw WJ. 2016. Aluminum, the genetic apparatus of the human CNS and Alzheimer’s disease (AD). Morphologie. 2016 Mar 8. pii: S1286-0115(16)00024-2. doi: 10.1016/j.morpho.2016.01.001. The genomes of eukaryotes orchestrate their expression to ensure an effective, homeostatic and functional gene signaling program, and this includes fundamentally altered patterns of transcription during aging, development, differentiation and disease. These actions constitute an extremely complex and intricate process as genetic operations such as transcription involve the very rapid translocation and polymerization of ribonucleotides using RNA polymerases, accessory transcription protein complexes and other interrelated chromatin proteins and genetic factors. As both free ribonucleotides and polymerized single-stranded RNA chains, ribonucleotides are highly charged with phosphate, and this genetic system is extremely vulnerable to disruption by a large number of electrostatic forces, and primarily by cationic metals such as aluminum. Aluminum has been shown by independent researchers to be particularly genotoxic to the genetic apparatus, and it has become reasonably clear that aluminum disturbs genetic signaling programs in the CNS that bear a surprising resemblance to those observed in Alzheimer’s disease (AD) brain. This paper will focus on a discussion of two molecular-genetic aspects of aluminum genotoxicity: (1) the observation that micro-RNA (miRNA)-mediated global gene expression patterns in aluminum-treated transgenic animal models of AD (Tg-AD) strongly resemble those found in AD; and (2) the concept of “human biochemical individuality” and the hypothesis that individuals with certain gene expression patterns may be especially sensitive and perhaps predisposed to aluminum genotoxicity. Ebola and Autism: What is the Link? Another important part of this puzzle is methanol toxicity. I highly recommend Monte’s book, While Science Sleeps for anyone trying to treat seizures/behavior/dementia issues. This is brilliant. I’m reading more and more studies pointing to high glutamate levels as the primary component in neurological disorders. Many of us in the benzo withdrawal community (myself included) could benefit from this kind of study. Long term use of benzodiazepines can create severely high glutamate levels, contributing to years of neurological problems for many of us, long after stopping the drug. I look forward to more studies of these supplements in the treatment of neurological conditions. This was a very informative brilliant read. Thank you.